Born in June 1829, in No-Doyohn Canyon, Mexico, Geronimo continued the tradition of the Apaches resisting white colonization of their homeland in the Southwest, participating in raids into Sonora and Chihuahua in Mexico. 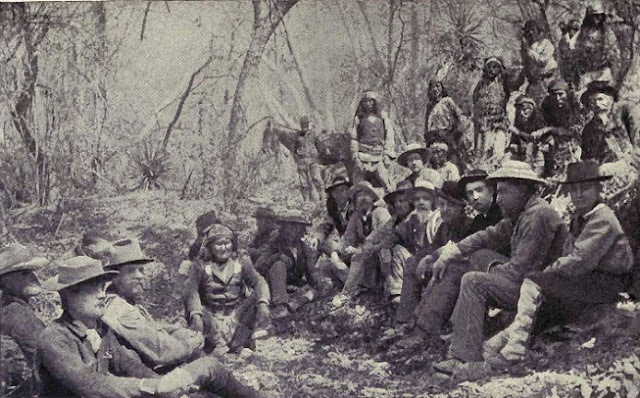 After years of war Geronimo finally surrendered to U.S. troops in 1886. While he became a celebrity, he spent the last two decades of his life as a prisoner of war. 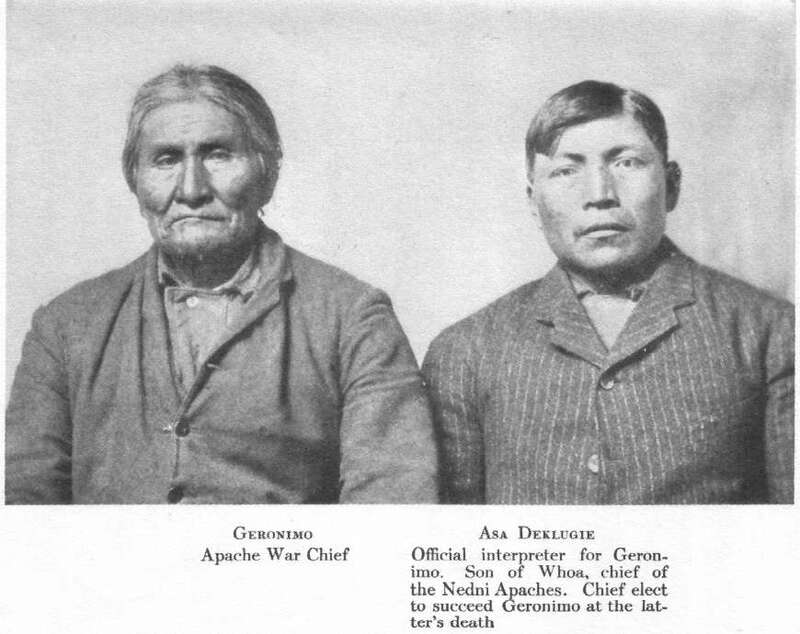 Geronimo fell in love with a woman named Alope. 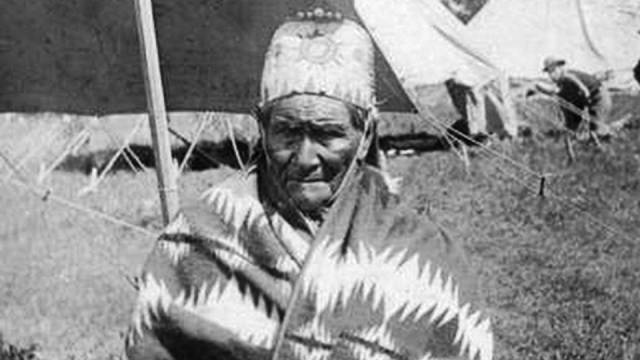 The two married and had three children together. 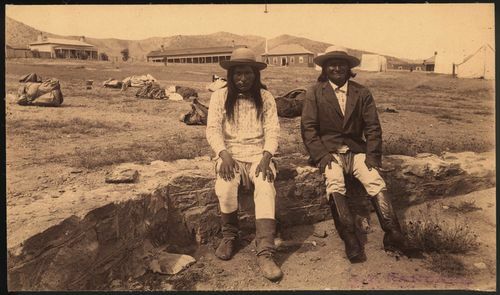 While out on a trading trip, Mexican soldiers attacked his camp. Word of the ransacking soon reached the Apache men. 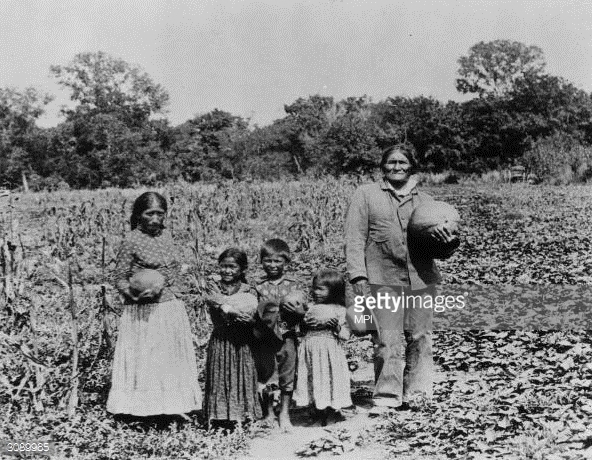 Quietly that night, Geronimo returned home, where he found his mother, wife and three children all dead. 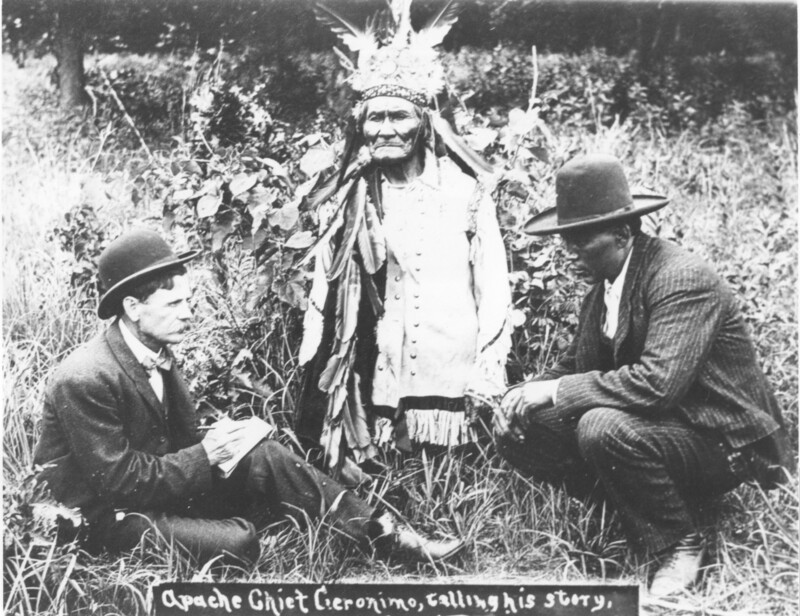 The murders devastated Geronimo. 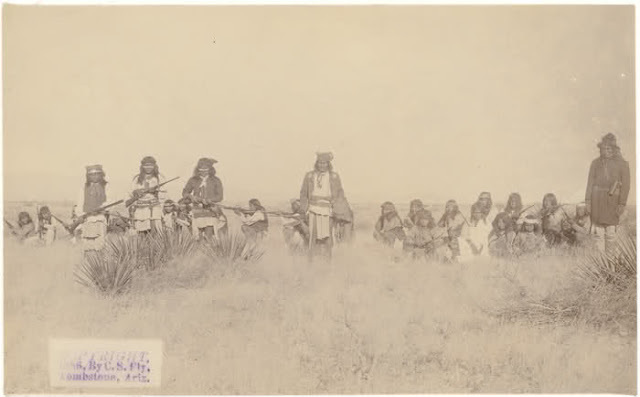 In the tradition of the Apache, he set fire to his family's belongings and then, in a show of grief, headed into the wilderness to bereave the deaths. 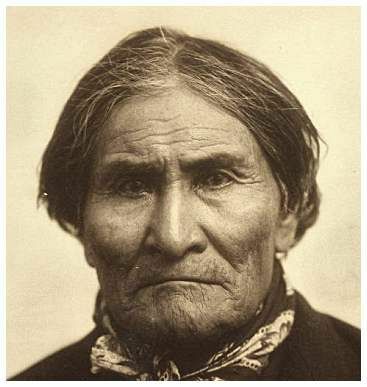 There, it's said, alone and crying, a voice came to Geronimo that promised him: "No gun will ever kill you. 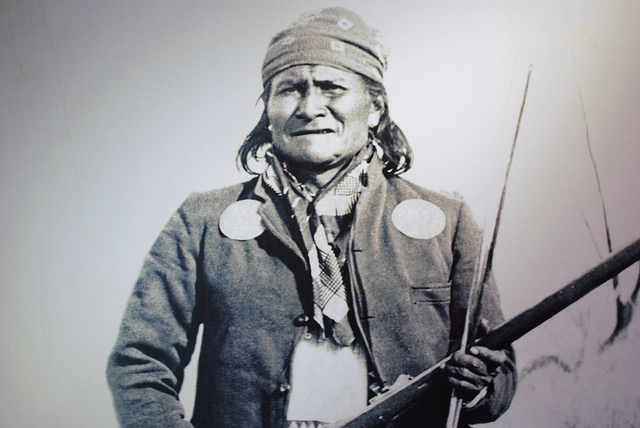 I will take the bullets from the guns of the Mexicans … and I will guide your arrows." 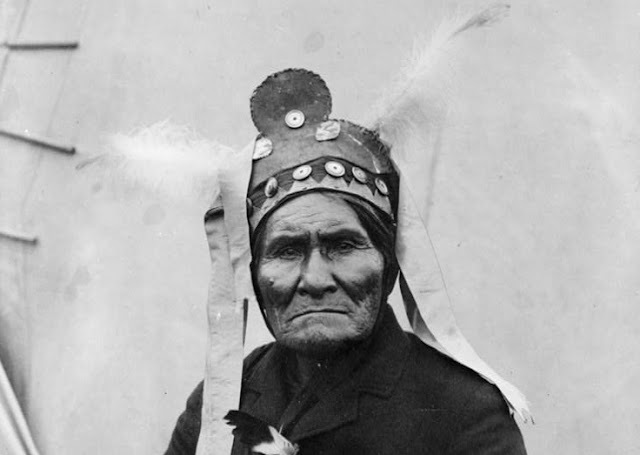 Beginning in the 1850s, the face of his enemy changed. Following the end of the Mexican-American War in 1848, the U.S. took over large tracts of territory from Mexico, including areas belonging to the Apache. 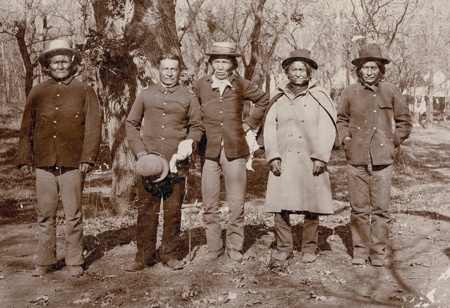 Geronimo and a small band of Chiricahua followers eluded American troops. 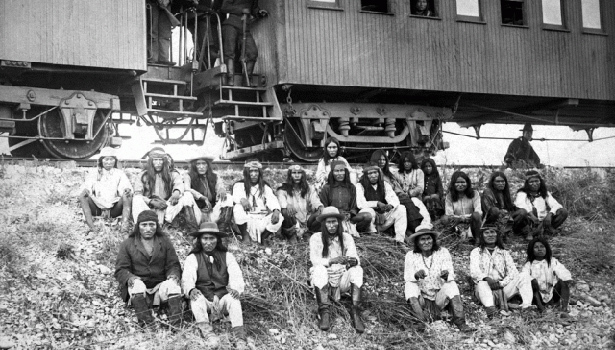 Over the next five years they engaged in what proved to be the last of the Indian wars against the U.S. 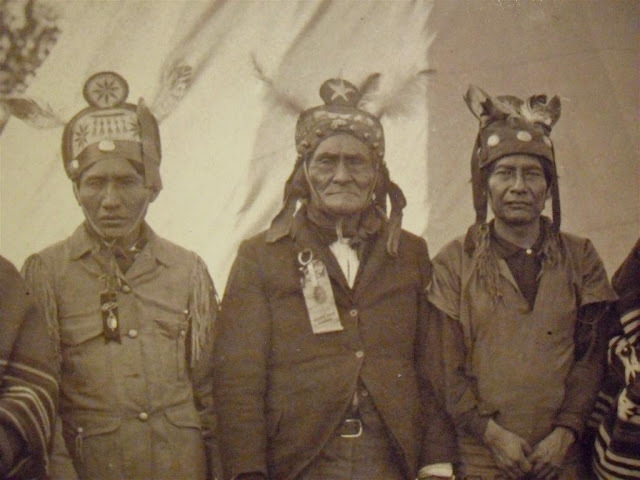 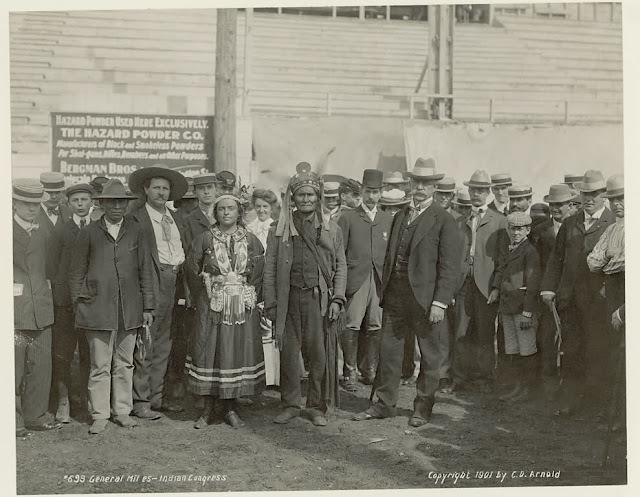 Responses to "Rare archive photos of Geronimo you may not have seen before"
Geronimo was a great chief, he was humiliated by the whites and made to perform for them in western shows. 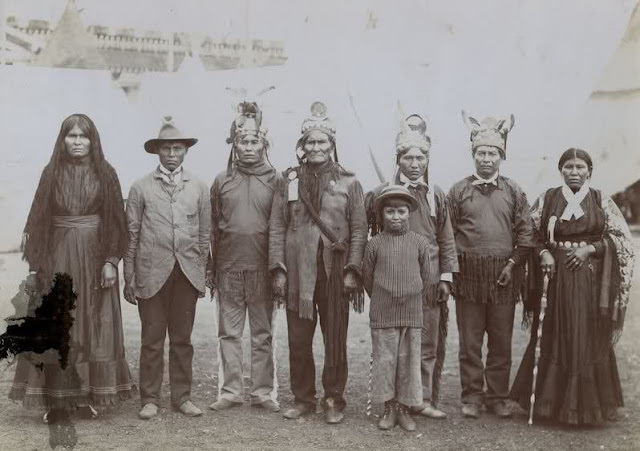 Well, I do not believe Go yaa hle was ever Nantan. 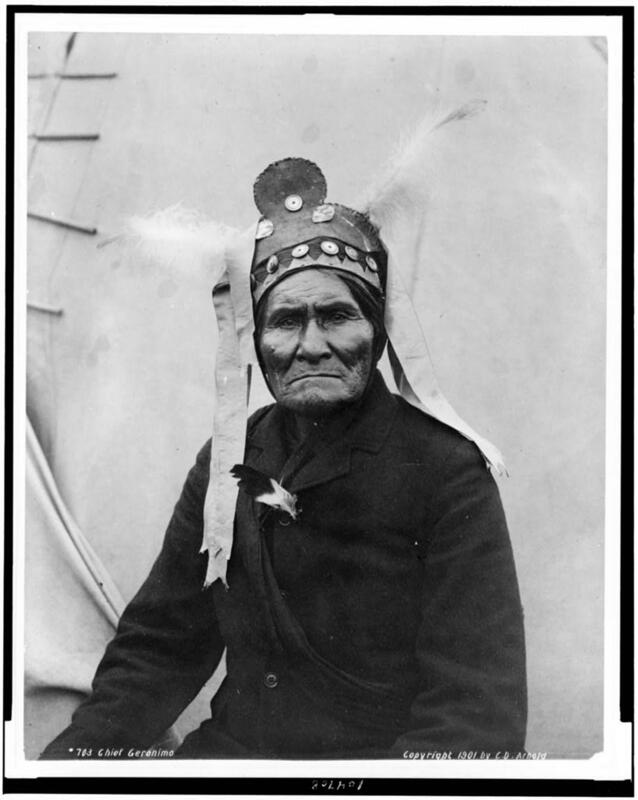 He was a Shaman if memory does not fail me. 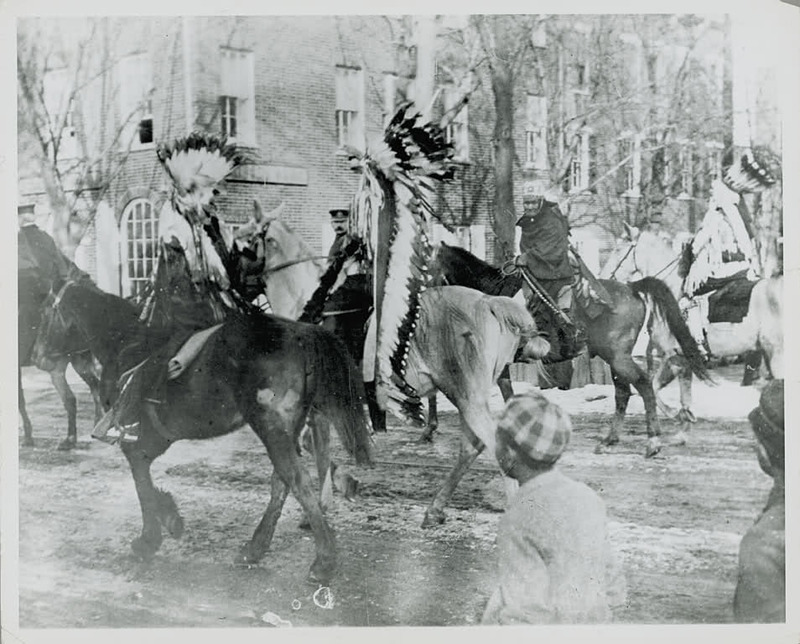 I am not certain Ndee ever wore the big fanciful feathered headdresses. 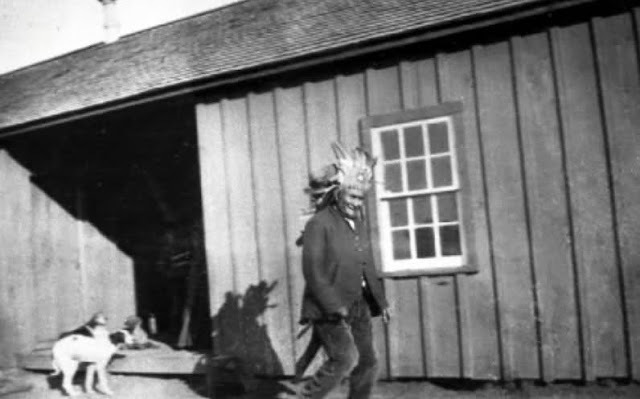 That was more on the plains. 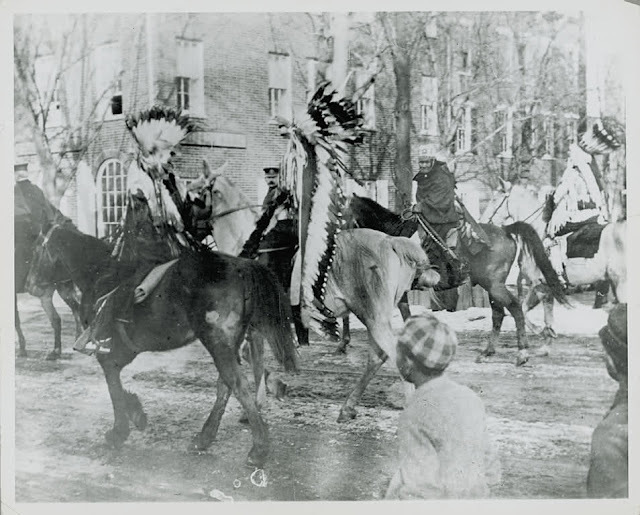 Often we see Ndee in feathered headdresses as costumes for wild west shows. I may be incorrect on some of my observation and apologize if I am. 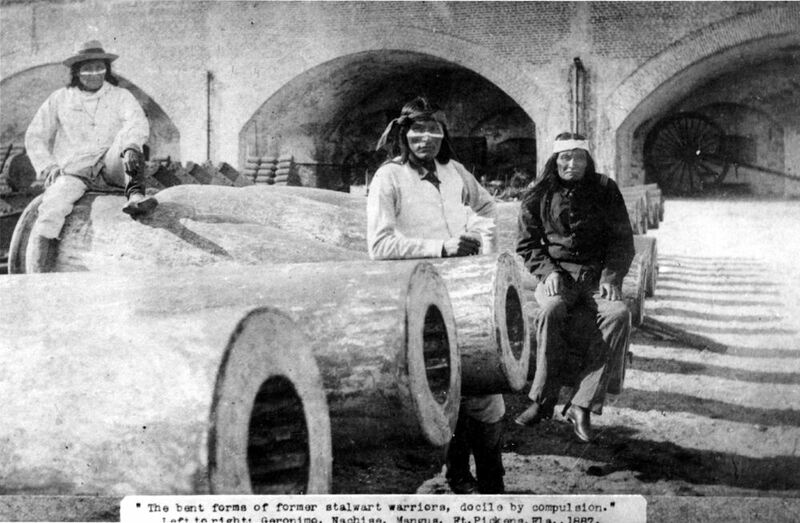 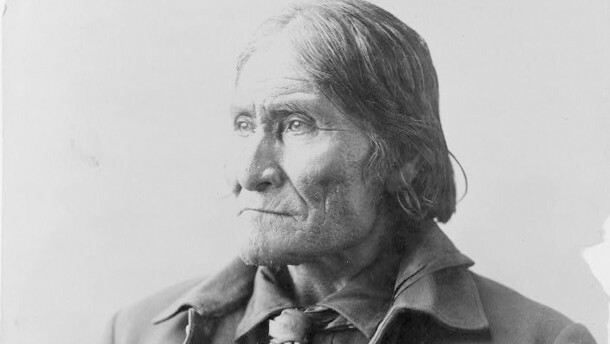 Geronimo was seen in an isolated Apache settlement when he was on the run in a placed now called Bylas..(this was based on meeting some Apache elders in that community in 1974) through oral traditions they were told by their elders that Geronimo must was most feared not because of his veracity for warfare but because of his medicine. Here was a man who could hyperspace and place himself over the opposing aggressors and keep track of them...and knew of every move they made. 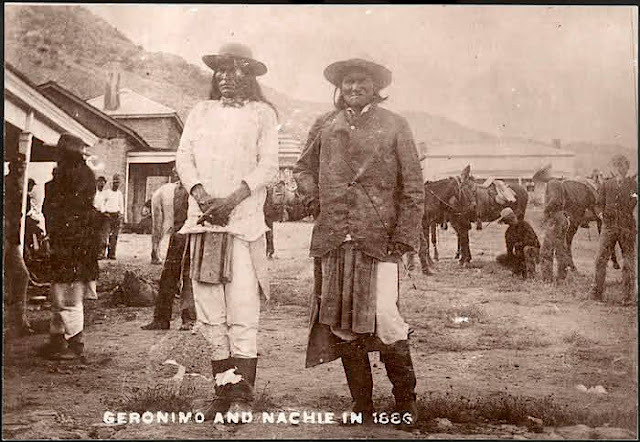 That Geronimo enlisted a large female force that served as the main front for his attacks..that large bands of Apaches still live in the mountains of northern Mexico who are descendants of Geronimo..